CMS is an international law firm headquartered in London, England with dedicated law and tax experts in over 70 offices around Europe. 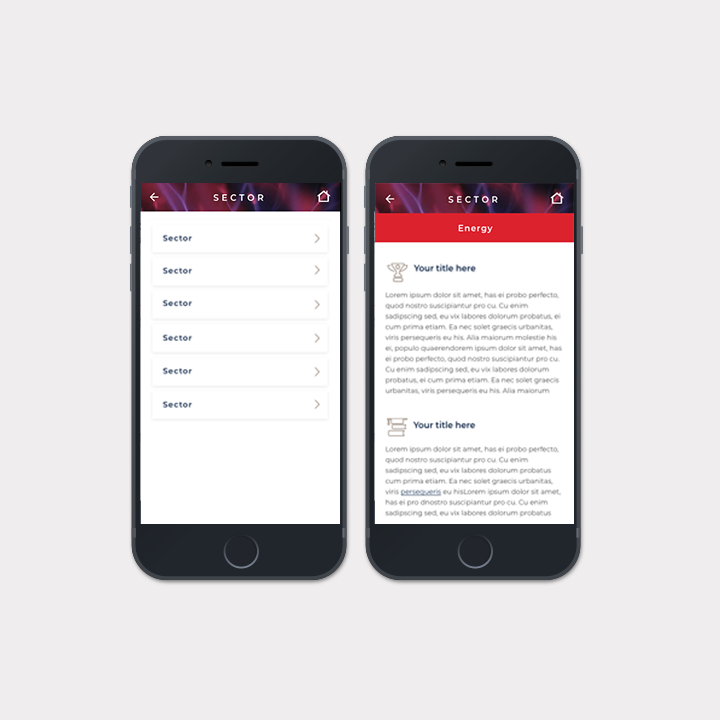 They were looking to roll-out a new mobile application to employees with the objective to provide everyone with the key messages for each of their practices, sectors and regions. 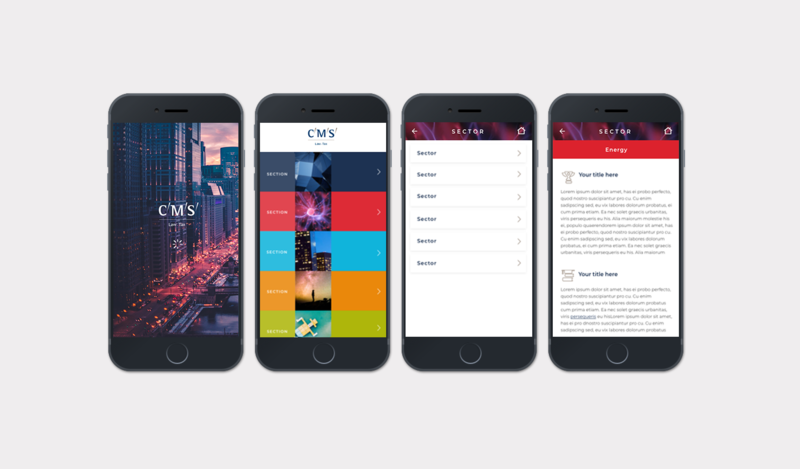 CMS engaged with Bluegrass, a experienced mobile UX and engineering company to design and develop the new mobile platform which will support devices across iOS, Android and Windows. After completing our quality assurance processes, the app was deployed to Microsoft Intune, CMS’s chosen app management and distribution software. 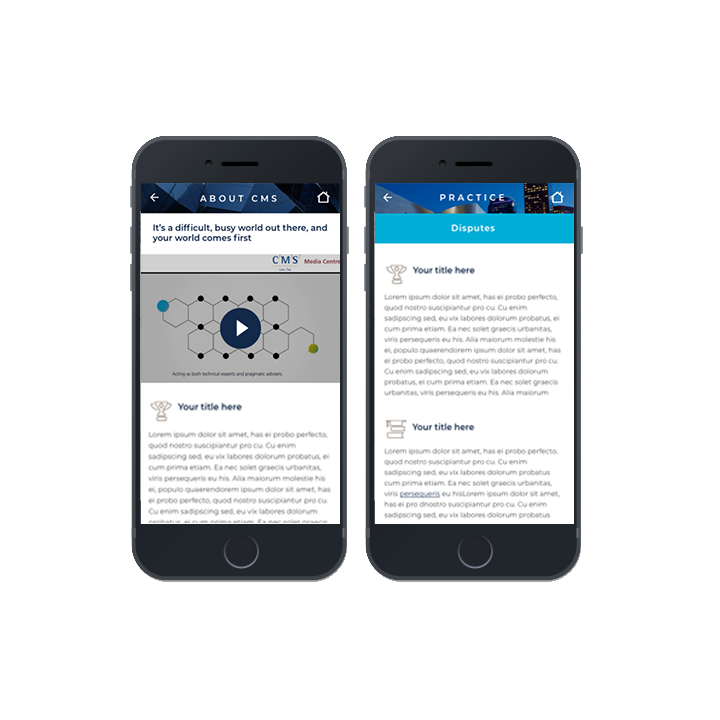 The app was distributed and deployed to all devices across the company, supporting Windows, Android and iOS platforms. Bluegrass have provided a content management system and API using Umbraco enabling CMS to continue to manage their content on the mobile app.